I know that moderation is considered a good thing – that a little bit of something is usually healthier than a lot of the same thing. I know this because it has been proven time and again in health journals, with kill-joy statistics and because the Bible even tells me so in Proverbs. But you cannot make me understand this when I am eating a single Dove dark chocolate and the one-inch-squared melty goodness is coating my tongue. I immediately want more, lots more. Chocolate, but only in moderation? Now that’s just crazy talk. When I was a smoker, I burned down two packs of menthol lights per day. To be honest, I enjoyed smoking immensely, so why would I only smoke one pack in a 24 hour period? Okay, maybe because I couldn’t really afford it. And it affected my blood pressure and caused respiratory disease. Bad example. From the very first time I took a drink, I knew that a thousand drinks would never have been enough, and one drink would always be too many. So drinking, as it relates to my moderation skill set….. Maybe that’s not the best example either. This part of me who just can’t comprehend the “moderation” concept? In early recovery I found out that she is (a) quite an unreasonable brat, and (b) very loud and insistent. She is the troublemaker who insists that if ONE of something is good, than SIX of the same thing is GREAT! And I have to tell you, that mindset makes a whole bunch of sense to me; it appeals to me. Since I can’t drink in moderation, I don’t drink at all. But something has to fill the space and time now laid bare by abstinence. Indulgences fill the space in which I couldn’t make moderation fit. And they say “YES”! Yes, I can hunker down and watch as many episodes as I like of the TV shows “Lockup” and “Swamp People” during marathon week. And I shall watch them whilst lounging around in my PJs. And not feel the least bit guilty. Yes, I can take an afternoon to goof off and peruse the website featuring “parenting fails” because – I’m just being honset – it makes me feel like a slightly better parent after I look through them. Yes, I can rub my elderly doggie’s belly for as long as I’d like at one stretch, and take my time scritching her ears and generally loving on her with nary a thought for “moderation”. Let’s face it; it’s a win-win for her and me. Yes, I will blast my music while I am editing an article or cleaning the house, and “krunk” the bass up so high I feel it in my chest. I will not be moderate with the funky beats of Herbie Hancock, nor the Earth, Wind and Fire tunes I so adore. It is impossible to feel sorry for yourself when you are listening to either of those guys. And Yes, Yes, YES! I will love my husband with wild abandon, holding nothing back. I will neither kiss him moderately, nor pray for him moderately, nor appreciate him in moderation. He is my passion, and there is no room for moderation wherever passion is concerned. Yes, I will indulge my children (although they are spoiled already) and remind them indulgently how much I love them. Generously, I will spend the greatest gift of all with them – time. They are my passion also, and as I said, there is no room for moderation whenever passion is concerned. I will love God and His only begotten son, Jesus Christ, with utter extravagance, and ask for His Holy Spirit to be POURED out in my life, not sprinkled moderately. 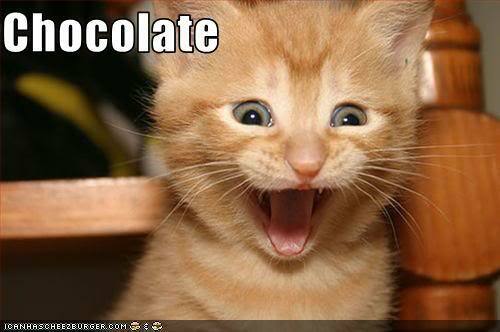 And yes…..I will copiously forgive myself for my lapses in practicing moderation with my chocolate consumption. You know, because its a passion thing. I really enjoy reading your posts… Great stuff!! Thanks and keep ‘um coming! I’m so glad they speak to you, Joey. Thank you for letting me know. I pray God is blessing you outrageouly these days! Okay, it is scaryyyyyyy how much of myself I just saw in that post. . Whew. .. (I am convicted if things I know I need to work on,,, just have not yet…) Love your posts!! I’m so glad you gleaned some insight, girl. Sending huge hugs to you in H-Town. Love you. Lord, keep “krunking” this woman with beautiful words to share and zero-calorie chocolate to satisfy her soul! Love this article!